Wearing Necessary clothing jacket and shirt, Zara loafers, H&M bag. i adore your shirt, you look great. Res zakon outfit =) srajčka je top!! you look perfect, every single piece of your outfit is great! thank you:) very nice pictures! 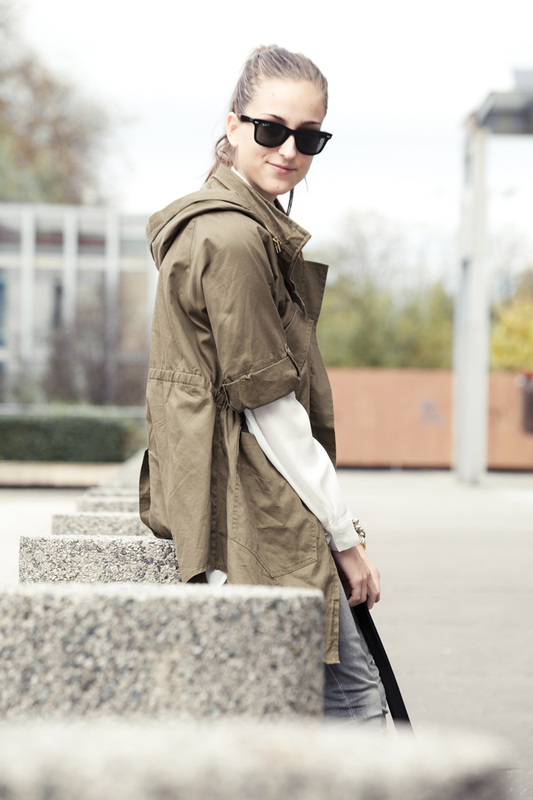 Love your military-inspired jacket and how you've styled it! Such a great fall outfit. Congrats on the job and I love this entire look!! simple and stylis, totally in love with this outfit!